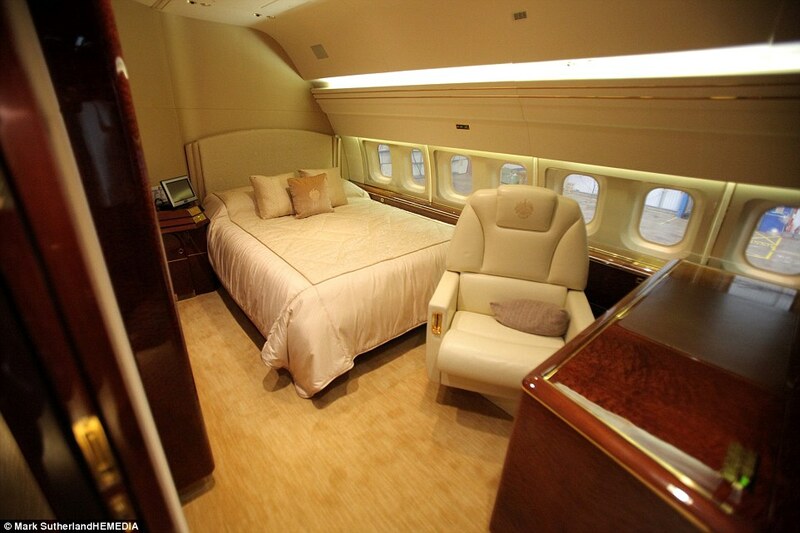 The most expensive private jets are the essence of luxury and style. The price tag can range from tens of millions to hundreds of millions of dollars. 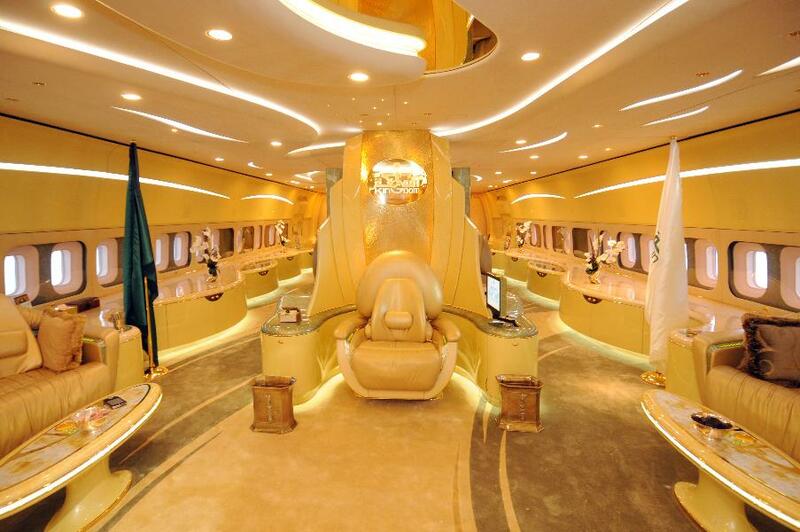 Take a look at our list of the five most expensive private jets in the world. 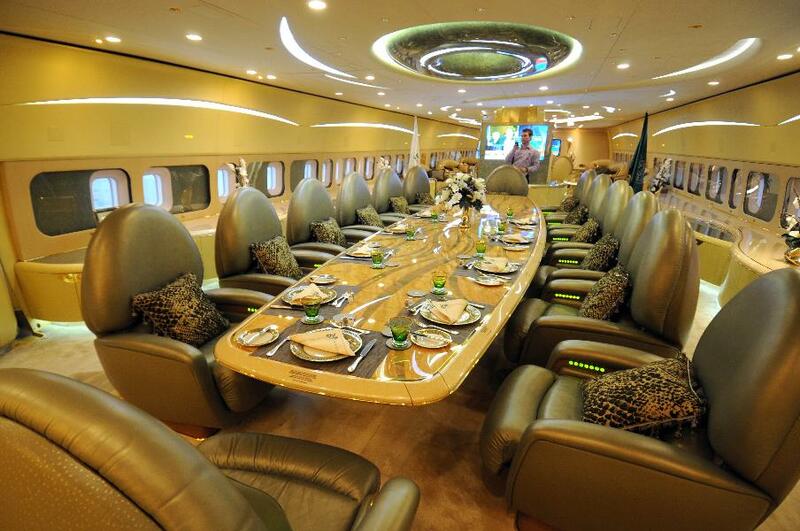 The Airbus 380 is the world’s biggest private jet and the most expensive. Its price tag is around $500 million. The jet is fit for a prince. In fact, its owner is the Saudi Prince Alwaleed bin Talal al-Saud. The same model of plane is also part of the Singapore Airlines and Emirates fleets. On commercial flights, the Airbus 380 can accommodate up to 800 passengers. The Boeing 747-8 VIP is the longest and second largest airliner ever built. The starting price of this jewel is at $367 million, and that is before all the luxury amendments are designed into the jumbo jet. The owner prefers to stay incognito but it’s pricey yet stylish details are public. 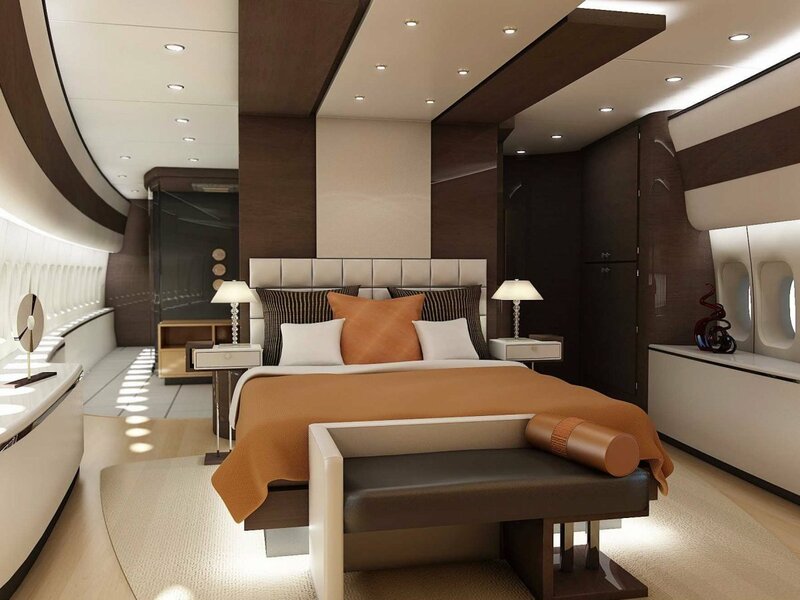 Completed by Greenpoint Technologies, the interiors of the private jet have been built using the finest material. It features two separate lounges, a stateroom with its own lounge that even world’s best hotels somehow cannot compare with. There is a massive office with an impressive conference room. A stately dining room is perfect for the most elegant of dining experiences. Donald Trump’s $100 million private jet may not be as grand as his famed Trump Towers. However, it is one of the most luxurious jets flying the skies today. The 43 seater private jet boasts the latest electronic equipment and has the family logo emblazoned on just about everything. The highlights are the Rolls Royce engines and the 24-carat gold plated seat belts. Every seat is equipped with a personal TV screen. The couches in the guest room convert into a bed. A built-in multiplex movie system has a library of 1,000 movies and 2,500 CDs. 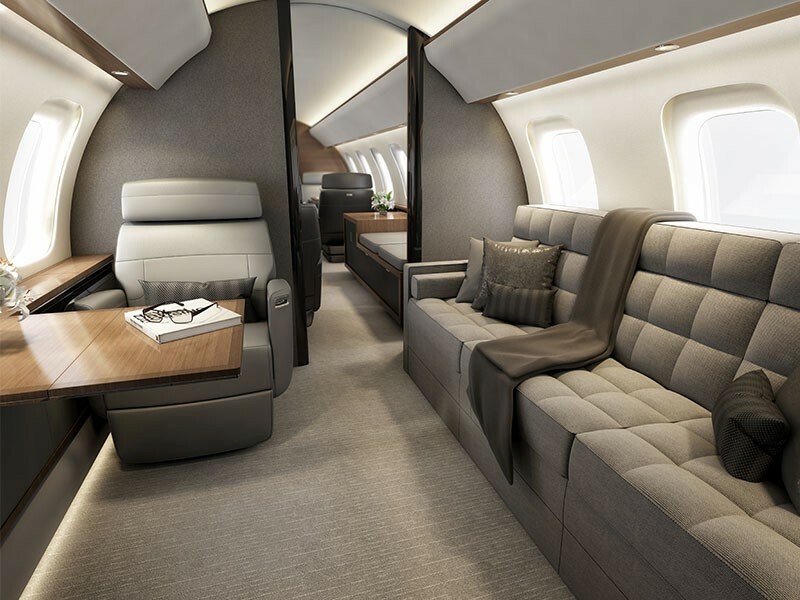 ACJ319 Elegance corporate jet is a simpler model perfect for the busy buyers. The aircraft is fitted with two bathrooms and a gallery at the front and a bedroom, with a private bathroom, at the rear. The cabin is separated into three sections which can be customized depending on the owner’s needs. There are also sections with versatile modules designed for businesses, conferences and social events. There’s also a cinema lounge. The new design allows the interiors to change with ease. The price tag for this beauty is around $80 million, which is $7 million less than the version with a fully customized interior. 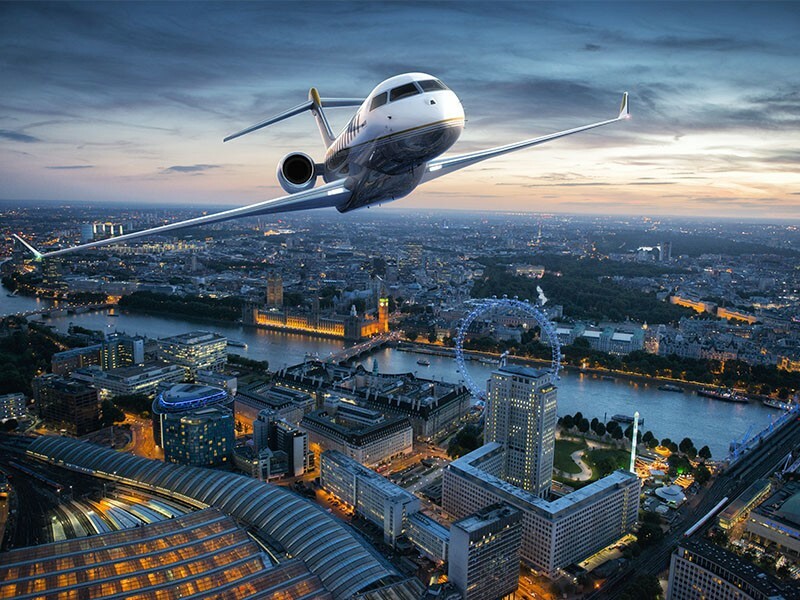 Featuring the largest and most comfortable cabin in its class and next-generation GE engines that deliver more efficiency with low fuel burn and low emissions, this business jet has been designed to meet today’s customers’ needs and lifestyle. 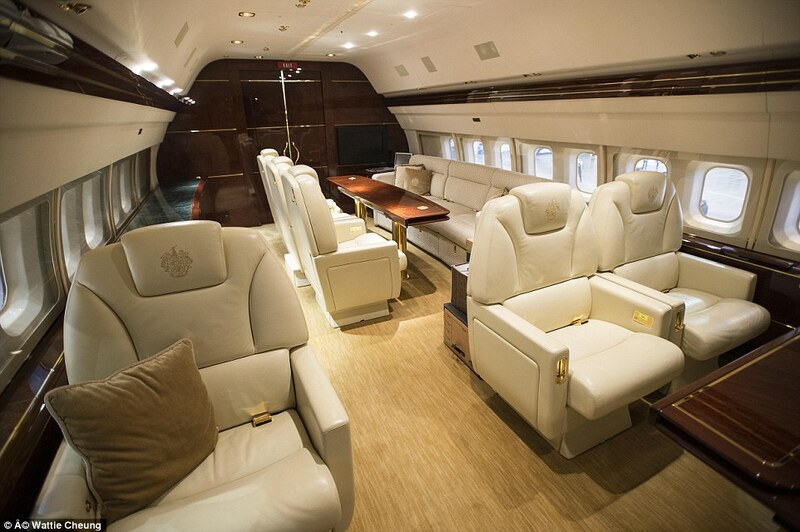 Priced at $66 million this business jet offers a more flexible and light-filled environment. The aft stateroom provides “home-like” master bedroom comfort and intimacy. The spacious dining and conference area is been designed for multi-purpose suitable both for dining and conferencing. Large windows provide improved viewing angles and range while advanced lighting technology sets the perfect ambience depending on the activities on-board. 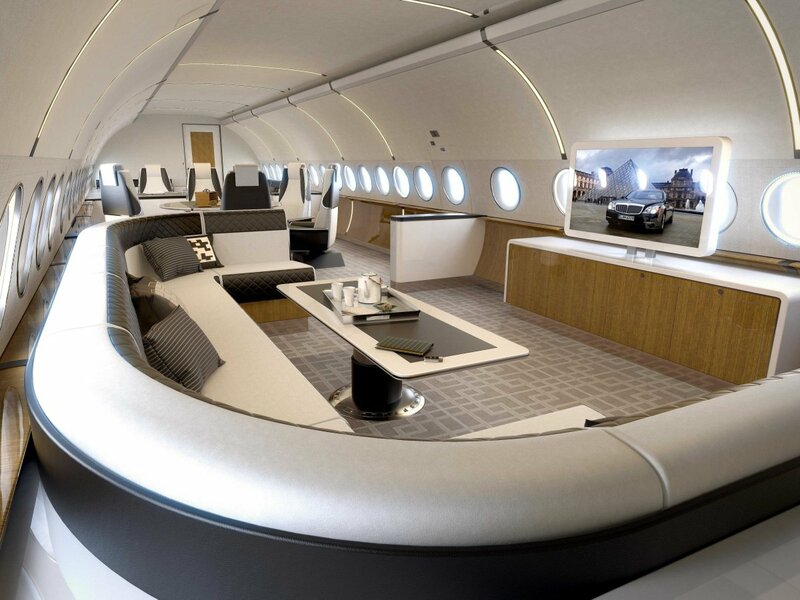 Our top five list proves that today’s private jets are more lavish than ever. 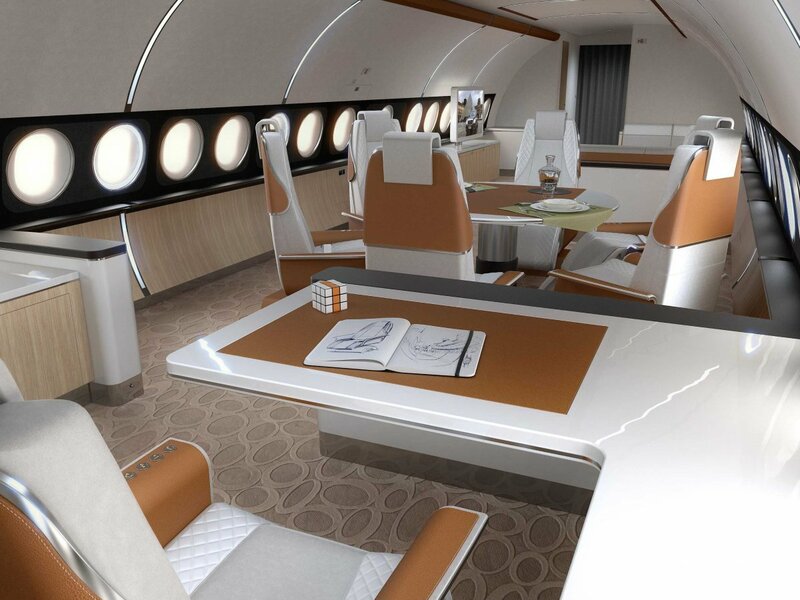 How would you build your dream private jet?